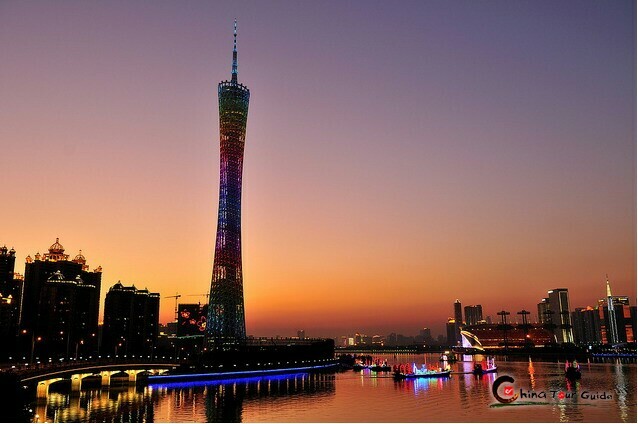 Standing gracefully in the heart of the Pearl River landscape axis, the Canton Tower, also known as the Guangzhou TV & Sightseeing Tower and nicknamed “Supermodel”, offers an awe-inspiring experience for it visitors with its unique design and a variety of excellent facilities. 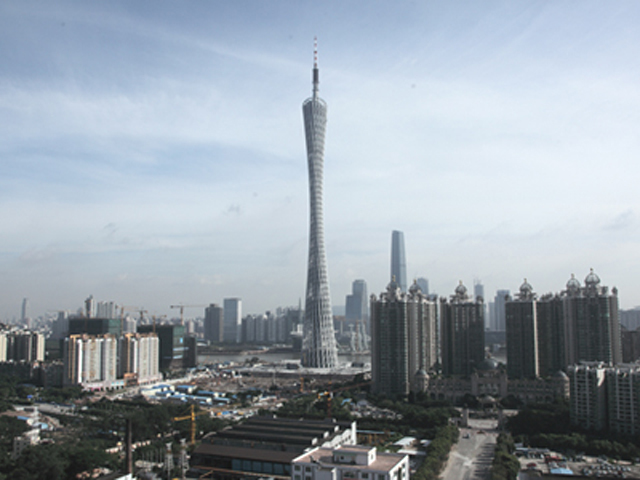 Topping 600m height, the Canton Tower attracts visitors first by its enchanting exterior. Different from other male-featured skyscrapers, which are introvert, strong, straight, rectangular and based on repetition, the Canton Tower bears a female feature, being complex, transparent, curvy and gracious. 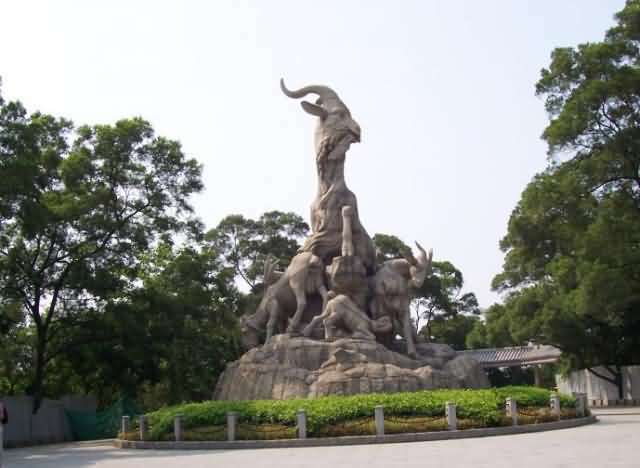 It is divided into 5 zones: Shop ‘n’ Savor Zone A, Envision-Zone B, Discover-Zone C, Relax-Zone D, and Observe-Zone E. The Canton Tower is the world’s highest TV tower and a new landmark of Guangzhou. It is also one of the most energy-saving and environmentally-friendly green buildings in the world. Shop ‘n’ Savor Zone A (below 32 meters): Food Street, Retail Stores, Integrated Services Hall, Multi-functional Exhibition Hall and Conference Rooms. Observe-Zone E (376 - 450 meters): VIP Chinese Restaurant, French and Mediterranean Buffet Revolving Restaurant, 2 Observation Decks, the Highest Post Office in the world, the Damper, 2 Science Education Halls, Outdoor Observation Deck (450 meters) and Entertainment and Adventure Facilities e.g. Bubble Cars and “Hair Raiser”. 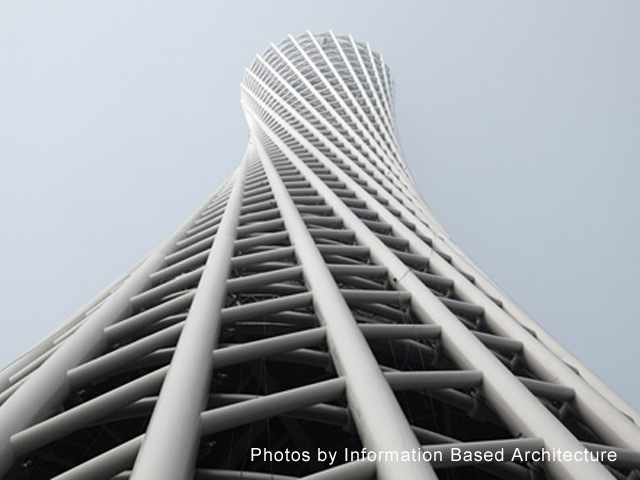 Designed by a Dutch architecture firm, Information Based Architecture (IBA), the structure of Canton Tower consists of an open lattice-structure twisted over its axis, thus creating a tightening waist halfway up the building, therefore winning a nickname “Supermodel”. 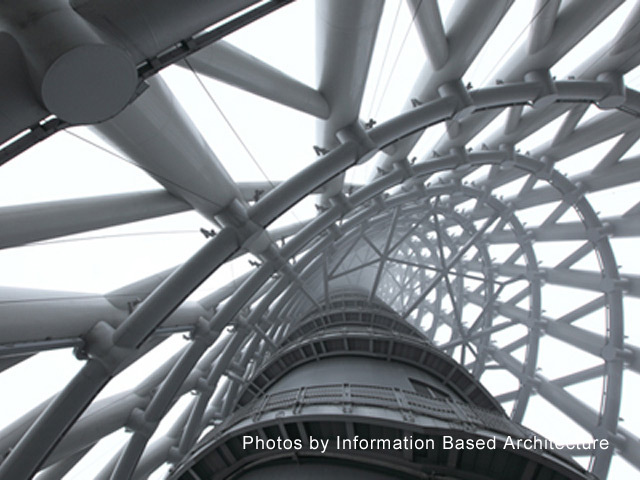 Supported by a central concrete core, composed of steel columns and a continuous series of oval-shaped rings of different sizes and single-direction diagonals, the tower displays a slender and graceful profile to all its visitors. 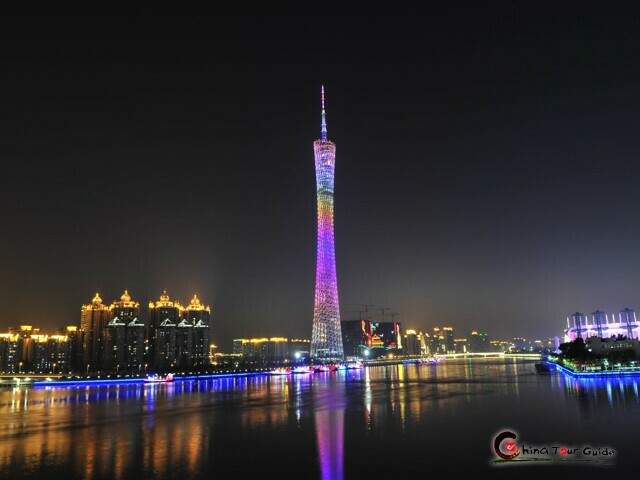 Canton Tower, regarded as one of the most energy-saving and environmentally-friendly green buildings in the world, features an awesome adventure building from Sightseeing Decks, Ferris Wheel & Gravity Machine to superior restaurants and other entertainment sites. Senior - USD 18 (CNY 120) Send Email to ChinaTourGuide.com for Booking. 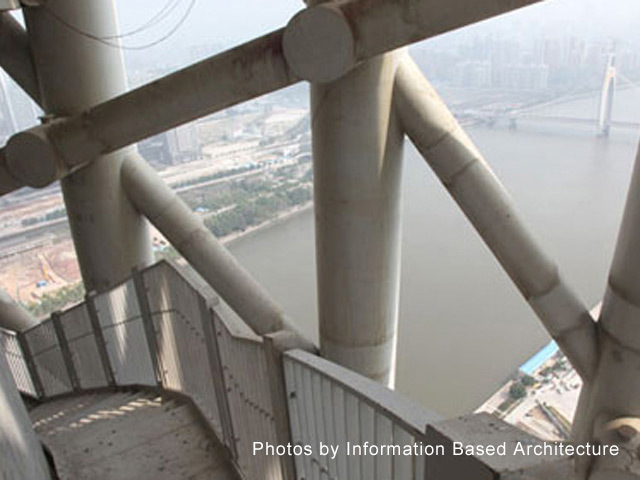 Highlights: challenge your guts at 600 meter high to view Guangzhou and other entertainment. For urgent booking, please directly call us at 0086-20-22822388 or 20-22822033. Kindly notice that you may have to pay service charge for the booking. Please contact us for details. By Metro: Take Line 3 to Chigang Pagoda Station, then take Exit A. 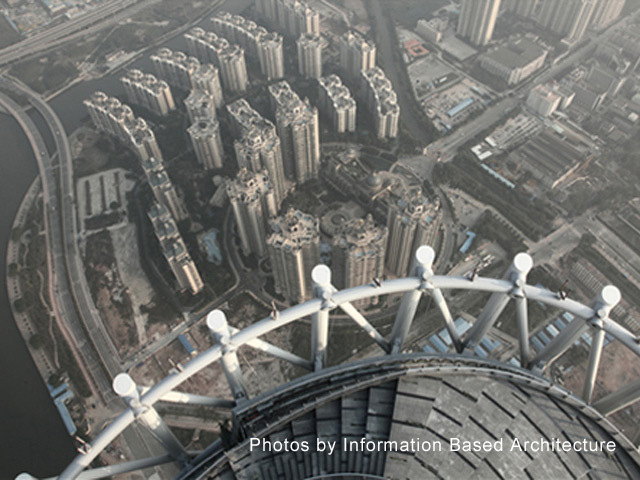 The elliptical track around the edge of Canton Tower’s roof is the world’s highest Ferris wheel. It consists of 16 transparent “crystal” passenger cars, each with a diameter of 3.2 meters (10ft) and able to carry 4-6 people. One thrilling ride will take about half an hour, circling around the tower. 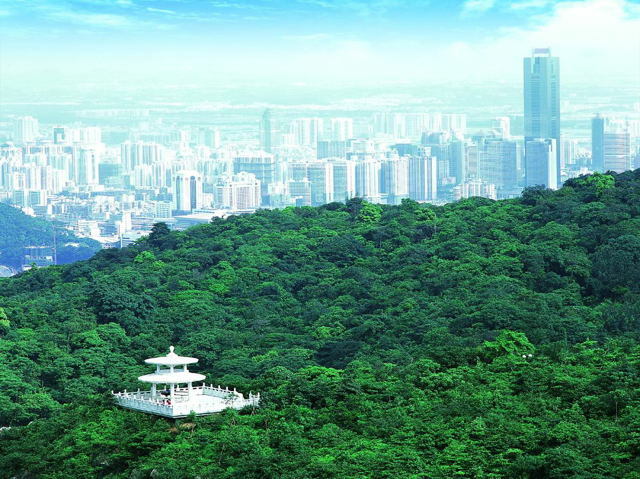 You can have a full panoramic view over the metropolis of Guangzhou. 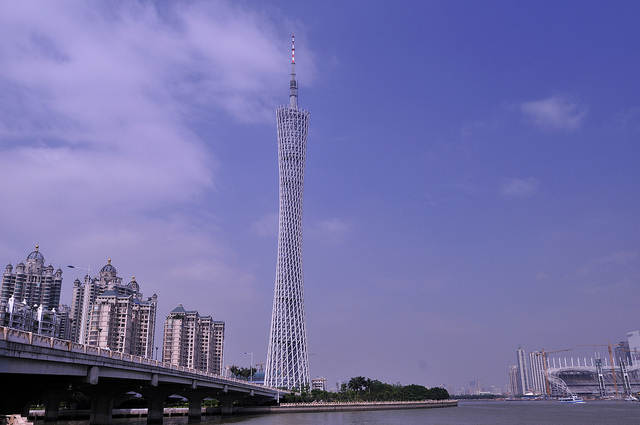 And if you are brave enough, you may take a ride of the Gravity Machine of the Canton Tower. 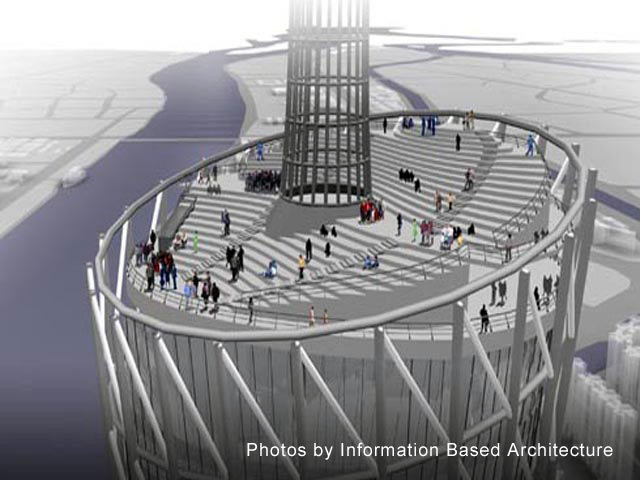 At the +450 meters high top deck level, the gravity machine will lift visitors another 35 meters up along the mast, from which they will be dropped back to the top deck. A marvelous falling of 485 meters will make you scream all your way! 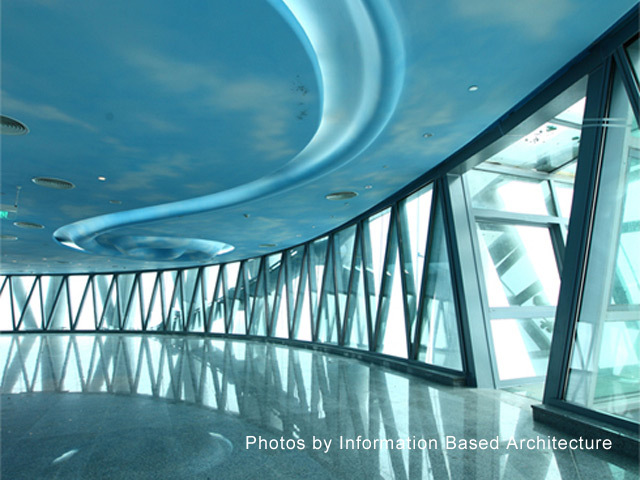 Between level +170 meters and +350 meters, an open air staircase will lead you all the way up through the twisted waist of Canton Tower. You may have a close look at the tower structure during your tour. 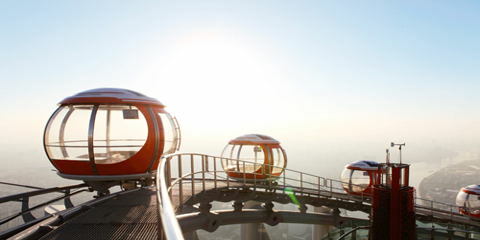 Standing high at the top deck at +460m to view the city landscape will be an unforgettable memory of your visit to the Canton Tower. The top deck is designed as a sloping elliptical square of 54 by 42 meters. 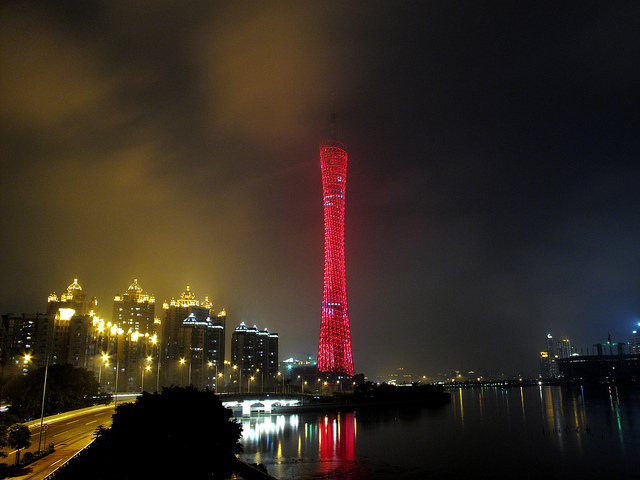 Instead of N-S direction towards the central axis, it is shaved off diagonally N-W towards the old city center, which symbolizing to bridge the old and the new Guangzhou together.